If you’ve followed along with my blog you’ll know that one of my favorite things about being a blogger is having the opportunity to read brand new books before they’re released to the public. 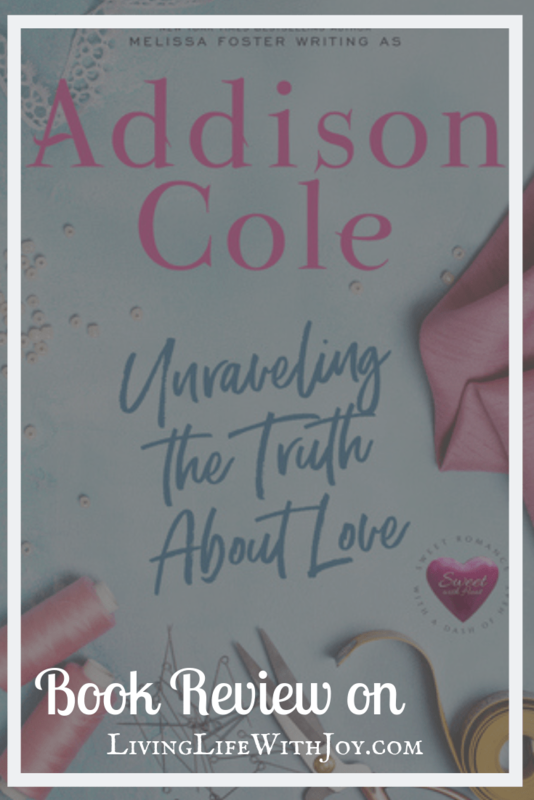 Today I’m going to share my review of Addison Cole’s latest book in the Braden series ‘Unraveling the Truth About Love’ and I have to say it’s her best one yet. Scroll on to read my review, learn more about the series AND enter the giveaway! Disclosure: I received an ARC of the novel from the author via Beck Valley Book Tours. This post contains affiliate links which I may or may not receive a small commission when you make a purchase. Your support is much appreciated! One of the main themes of Unraveling the Truth About Love is the importance of family and having faith in the people you love. When you love someone you have to trust that they’re the kind-hearted honest person you know them to be, even when external forces are trying to convince you otherwise. You have to trust in your heart and know that you can’t always determine what will happen next in life but you certainly can control how you react to what happens. When the truth rises to the surface the liars are the ones that drown in the riptides and the honest ones are the ones that make it out as winners. Josh and Riley’s story is so sweet and addictive and you’ll find yourself rooting for them to get through the chaos surrounding them and make things work. Living and working in New York City is a big change for a small-town girl, especially when she’s in love with someone that could threaten to ruin her reputation that’s barely been built. Despite being in a world completely different than her own Riley’s fierce determination paired with her natural talent for design make her a force to be reckoned with and trust me, you want to be on Riley’s team. I loved that this book was a bit unlike the others I’ve read by Addison Cole because the main characters work in the cutthroat fashion business. Much like all of Addison Cole’s other novels, I thoroughly enjoyed this novel and highly recommend it to all who enjoy sweet romances. Side Note: This is the third book in the Weston Bradens series and the end of the book includes a sneak peek to the fourth book ‘The Art of Loving Lacy’. Check out my reviews for the books that come before this one!